That was on everyone’s mind last night at the Ronald McDonald House at 1720 Treasure Hills Blvd. “We are having different performances,” said Vanessa Arellano, administrator at Ronald McDonald House. Those acts included performers from Palm Valley Gymnastics and Dance, the choir from Dr. Cash Elementary in San Benito, and the Cardettes from Harlingen High School. The lighting of the house took place between those acts. One of the House’s past families did the official flipping of the switch. The facility highlighted the fact that a past family did the lighting. All past Ronald McDonald House families from 2017 and 2018 were invited to the event. 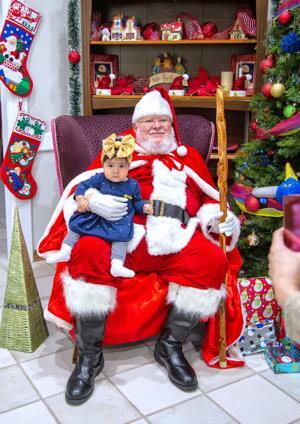 Santa was also present at the event, which was open to the community. Hot chocolate, cupcakes, cookies and other goodies were also served.